When the Sun goes into Virgo on August 23rd until September 22nd, we’re moving away from the sunshine and fiery energy of Leo into the more practical, sensible, earthy energy of Virgo. 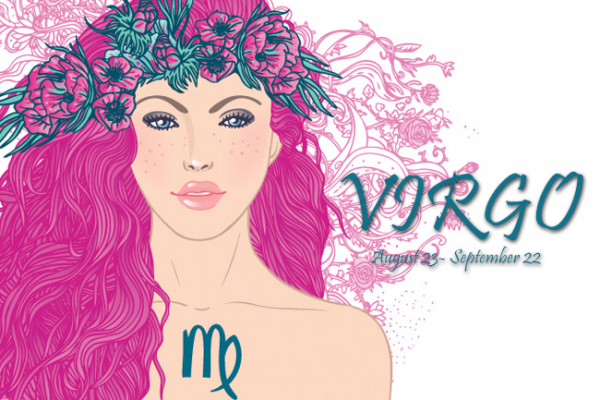 With the Sun in Virgo, it’s time to get focused and to set yourself some tangible goals. For example, as Virgo rules the physical body and healing, this is a good month to set up doctors and dentists appointments for check-ups. If you catch something in the early stages, it’s much easier to cure than if it has become a chronic condition. This is a good time to research and then decide on a healthy diet and exercise regime. Going to college or school to learn something is especially beneficial now. It’s a great time to organise your environment, your time, your energy. Set yourself reachable goals and make sure you take at least one action every day towards achieving your goals. Virgo rules discernment and therefore helps you to decide which things in your life you should keep and what you should discard – i.e. it helps you separate the wheat from the chaff. Cleaning, sorting out, de-cluttering, are all actions that are supported during the Sun in Virgo. Go through your kitchen and throw out all the things that are past their sell-by date, the items that you no longer use. Sift through all the items in your wardrobe and recycle, sell or give away things that you haven’t worn for a year or more. Chances are that if you haven’t worn it for at least a year, you probably won’t wear it again and it’s taking up valuable space not only in your closet, but also in your mind. Sort out your office and your paperwork. Take a few days to get everything into order. It will set the tone for the remainder of the year and enable you to be much more effective and efficient. Virgo loves to be productive and useful. That is the energy that is available to you at this time. Virgo loves lists and this is the perfect time to set yourself a to-do list that compliments the energies of this transit. Go for certification or a qualification in a field that interests you. Train yourself to become an expert. Make best use of your time – not in a rigid way, but split your time up so that you don’t feel as though you are running from one task to another. Make sure you take time out to acknowledge your achievements. Organise your books, your information, your data, your contacts. Learn some healing techniques e.g. Reiki, yoga, herbs, homeopathy, acupuncture, energy healing. Volunteer some of your time to a charitable cause. Join an organisation that you feel passionate about. Think about the life areas that you want to improve. Commit to taking at least ONE action every day. Great time to stop smoking, drinking, eating excess sugar, doing anything that is harmful to your body. Be more discerning about the people you spend your time with and choose to be around positive and uplifting energies. Get your accounts, finances and paperwork in order. Start a new course of study, attend a workshop, training, seminar. How will the transit of Sun in Virgo affect your zodiac sign? This transit falls in your 6th house making this is a great month to improve your work situation. If you are having trouble concentrating, reorganise your work environment so that it works for you. Make sure you are being consistent with doing regular exercise and that your diet is giving you energy rather than draining it out of you. This transit is in your 5th house and gives you an opportunity to start a new business or to improve the one you already have. You may get into a new romance. Your creativity is at a new high, so explore new ways in which you can express it more effectively. Good time to take up a new sport. This transit falls in your 4th house shining a light on your home and family. This is a good time to resolve any family issues and to have an open discussion if necessary. Starting a business or working from home is favourable under this transit. This transit falls in your 3rd house which is highlighting all your communications. This is a good time to sign a contract or to negotiate a deal. Social networking and socialising in general are under favourable aspects, so make sure you get out and about to take advantage of it. This transit falls in your 2nd house of personal finances. You could increase your income at this time or come up with a new business idea that has great potential. Make sure you pay attention to the details and that you are not spending more than you earn. Keep track of your bills and your outgoings. Happy Birthday Virgo! This is a positive time for you as the Sun is shining in your sign. It’s an opportunity to start fresh, to set yourself new goals and dreams that you want to manifest. Good time to have a makeover and to change the way in which you present yourself. This transit falls in your 12th house (see the 12 astrological houses) and is just a month before your birthday. This is a time for endings, completions and allowing anything that is no longer working for you to drop away. Don’t be tempted to hold on, especially to a relationship that you know is past its sell-by date. You will have an opportunity to reinvent yourself next month when then Sun comes into your sign. This transit falls in your 11th house of dreams and wishes. This is a good time to re-evaluate your priorities and what you want from life. Working in teams is favoured as is your social life. New friends can appear and existing friendships can deepen. This transit falls in your 10th house stimulating your career and your life direction. If you are thinking of making a change in career or going back to school to learn new skills, this is a great time to do it. If you have been working assiduously towards your goals, you will see success now. This transit falls in your 9th house and gives you an opportunity to learn something completely new. You may decide to go back to school, or you may teach others something that you are passionate about. Good time to plan a long-distance trip and to resolve any legal issues. This transit falls in your 8th house and could bring financial support from another person or an organisation. It’s important to check all your finances in detail: your insurance, debts if you have them, mortgage, investments, pension, taxes. Get everything into order so that you don’t have any surprises down the line. This transit falls in your 7th house of relationships and will give you the opportunity to resolve any conflicts or disagreements. You could meet a new romantic partner or you could decide to get married. Make sure you are extra careful about who you trust. Take your time and don’t rush into any new relationship: personal or business.